Should You Outsource Your Overflow IT Work Or Not? You're loathe to downsize the position of on-site computer technician, because response time is great. Even so, lately the demands on this person have become equally "great". That being said, there's not enough overflow work to justify hiring additional staff. Leverage our automated infrastructure to bridge the gap. We identify the weak spots before they turn into downtime. We notify your personnel, and they put hands on before it becomes a problem. We automate the mundane tasks so your personnel does not have to manually monitor and maintain by hand. We are also available for overflow work should the need arise. Call us for an explanation of how we can work with your current IT personnel to complete your comprehensive IT infrastructure. IT Headquarters. Providing Proactive Prevention of Problems. Professional versions of Windows will not allow access to network shares without a password. Hold down the Start key on the keyboard (between Ctrl and Alt) and tap 'R'. Enter gpedit.msc and press Enter (or click OK). Computer Configuration>Windows Settings>Security Settings>Local Policies>Security Options. Double click on Accounts: Limit local account use of blank passwords to console login only. Select the radio button next to Disabled and click [OK]. Seattle comes in as number 20 in the list of the top US cities with the highest per capita malware infection rates in 2016. Why do you think this is? Seattle is high tech, and the average computer user is more wary of suspicious e-mail attachments and questionable web site links. 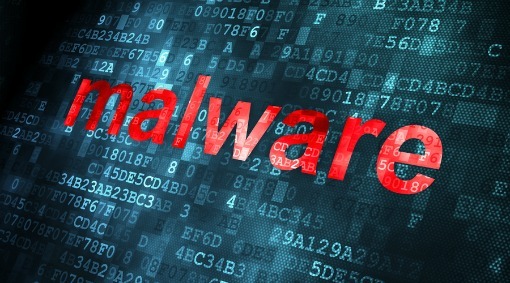 Nevertheless, IT Headquarters receives several calls each week from customers that have malware infections. Many of these are victimized by fake pop-ups that warn of impending disaster, and give a phone number to call for support. These dastardly "support" people often claim to be "Microsoft Support". Once the victim lets them connect to their computer, the criminals often install malware, and make changes to prevent the victim from repairing the problem without paying them hundreds of dollars. The cost is usually just under the cost of a new computer. Others actually received a phone call from someone claiming to be "Microsoft Support". Microsoft does not make such calls. Run all the anti-virus and anti-malware software that you have installed, and fix anything they find. Call IT Headquarters if you need additional help. You may have heard of Ransomware, which when installed on a computer, locks the documents and holds them for ransom. Now, ransomware can come as a payload in video ads. You don’t even need to click on the ad. When you are shopping for a new hard drive, it can sometimes be a bit confusing when similar, or not so similar terminology is all mixed together in the product’s description. I know that SATA uses a SATA interface and ATA uses an IDE interface, but why is it using different “terms” in the same sentence? An HDD has either a SATA interface or an IDE interface, but not both at the same time. Is ATA the same as IDE/PATA or SATA? Serial ATA is the connection/connector interface while ATA-8 is the protocol for that interface. IDE was the interface and it also used an ATA protocol for communication. IDE and ATA are not the same thing, just as SATA and ATA are not the same either. To be clear, IDE defined that a hard drive should have Integrated Device Electronics (I.e. a controller) onboard and communication with the host should be done according to the ATA specifications. While IDE and ATA are very closely related, they are not the same thing. IDE has been reverse-acronymed as PATA since the interface was a parallel connection using the ATA standard. SATA is a Serial ATA connection. IT Headquarters, Seattle, WA, 98116206.686.8682. Voice only (no texts).